Prepare for the FALL SEASON PREMIERE OF NEW SERIES. 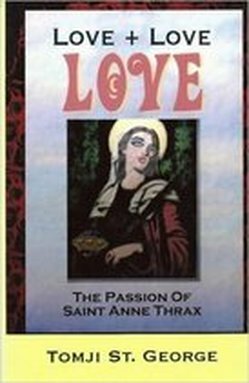 Saint Anne Thrax returns to uphold the power of humor, goodwill and messages from the great beyond. Stay tuned. And yes: it will be a very bumpy, fun-filled roller coaster ride. Mr. Bean spills the beans about sacred spiritual satire. Reverend Peter's renegade son Bo Billy met Saint Anne Thrax in the ISIS Crisis House. Blessed for success BO BILLY vows to turn things around and upside down in the Church of the Godamentals. "We are not FUN damentals... We are GOD amentals"
I don't got a knife but I gots a pen and a pen can stab you just as good! Dey say dey pen is mightier than the sword which is like a knife. 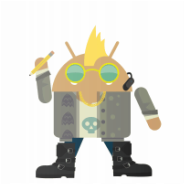 ​SEE SOME EXCERPTS IN A FUN FORMAT! READ IT ONLINE VIA YOUTUBE! The history of Sacred Relics and some examples of unbelievable Altar Egos. 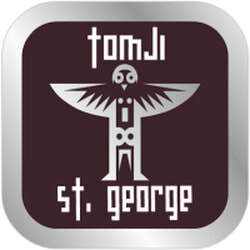 DRONE SPY CAMERA CAPTURES TOMJI ST. GEORGE AS ARCHAEOLOGIST. IN A TEDISH TALK ST. GEORGE REVEALS NEWLY DISCOVERED RESCUED RELIX FROM THE SHRINE OF SAINT ANNE THRAX. SAINT ANNE THRAX VISITS POPE DURING A NIGHT AND DAY DREAM. POPEY GAVE HER THE TITLE SAINT DURING HER STINT ON GAIA A DECADE AGO. NOW SHE'S BEEN RE-SAINTIFIED! 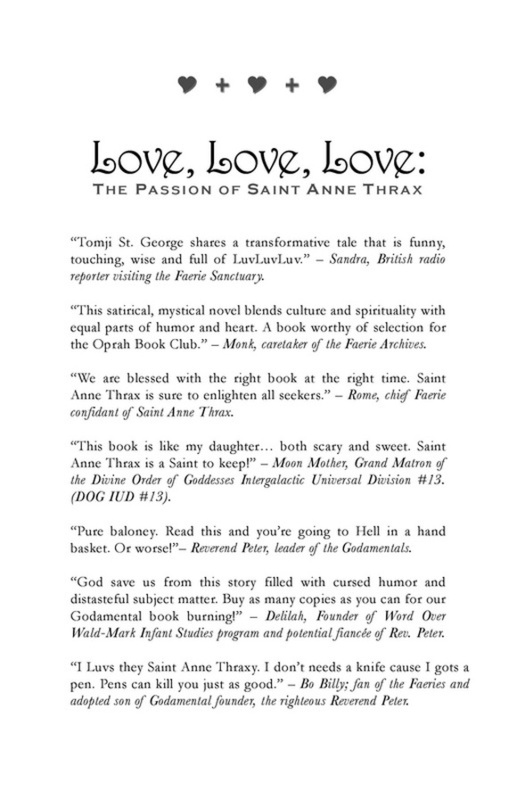 VIEW SNIPPET OF TED-ISH TALK BY TOMJI AS HE EXPLAINS THE ARCHEOLOGICAL DISCOVERIES THAT MAKES THE SAINT OUR SAINT ANNE THRAX. Join the Crazy Wisdom Divine Fan Club. News, Blessings, no Spam. Go ahead and join the Fan Club. We'll send you a membership number. Complementary Blessing included!